Border collie owners are a special breed. 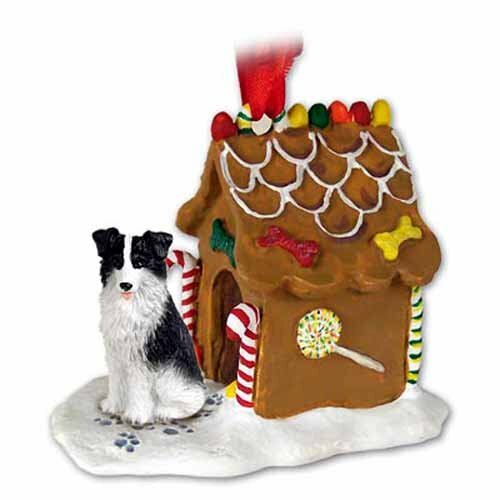 They love to show off their dogs and these ornaments are just the thing. I love my Border collies. I don't collect a lot of memorabilia but ornaments are special. They only come out on certain times of the year. You tend to forget about them most of the year and then the memories come flooding back when the ornaments are unpacked for the season once again. These ornaments make a wonderful gift for a special friend or for you and your family to remember a special time. Everyone knows what angels Border collies can be, most of the time. 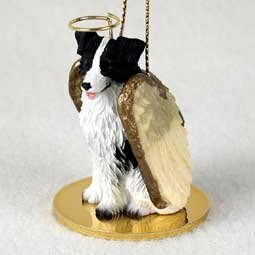 This little sweet pup can be hung from the tree by its gold thread or it can sit on a shelf or mantel to remind you of your sweet dog or in memory of an angel dog who is waiting at the Rainbow Bridge for you. This little Border collie is made out of ceramic and comes with a gift box, He sits approximately two to three inches tall. This precious pup is a wonderful keepsake for you or a gift for your BC loving friend. There's an old saying that goes, "a tired Border collie is a good Border collie." 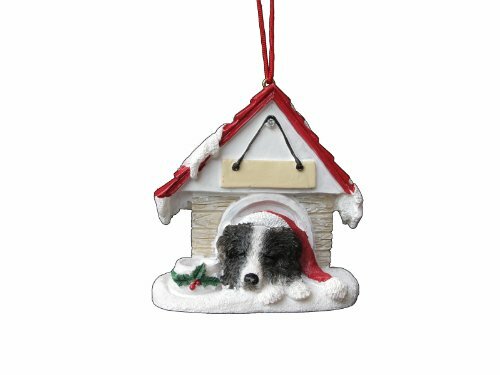 This little guy is taking a well-deserved snooze in his dog house.This is a hand painted ornament that comes with a magnetic back so it can be used as a refrigerator magnet the rest of the year. The name tag over the door can be customized with a permanent marker pen. 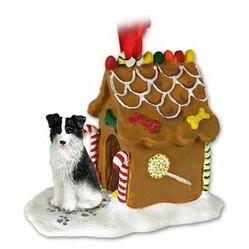 You can have one for each of your Border collies. This ornament measures approximately 2.8 x 3 x 1 inches. Every Border collie loves to walk up or stalk something, whether it's sheep, a tennis ball or a squeaky toy. 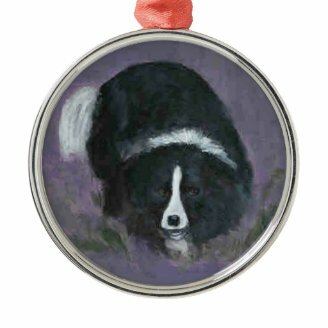 This ornament was made from a little painting I did of a Border collie I knew who loved to stalk the other dogs. He's in the classic working pose, captured for an ornament for your tree. The ornament is about two inches in diameter and has a silver colored metal rim with a red ribbon for hanging. Like most of the items in Ragtimelil's Store, you can customize this ornament to make it even more personal. This little guy was lucky enough to have his own gingerbread house. Not every dog gets one of these. This ornament is made of stoneware resin and measures approximately three by three inches. It comes with a ribbon for hanging on a tree or remove the ribbon and set it on a shelf, mantle or table. 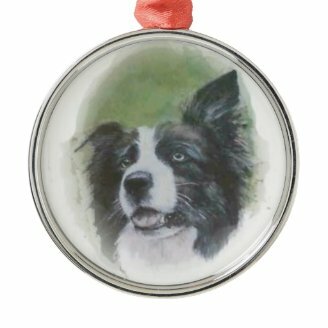 It makes a delightful gift for the Border collie lover friend or to hang on your own tree. A good Border collie listens for her master's voice. This is a painting in pastels that I did of a friend's Border collie. I made it into several items on Zazzle including this ornament. All sales go to provide for the care of the dogs at Ragtimelil's place. The ornament it about two inches n diameter and has a silver colored metal rim and a red ribbon for hanging. Border Collie's are such pretty dogs. The Yule holiday is much older than our Christmas. It goes back to ancient times when Odin led the wild hunt in the sky. Here are some decorations to celebrate this time of year.